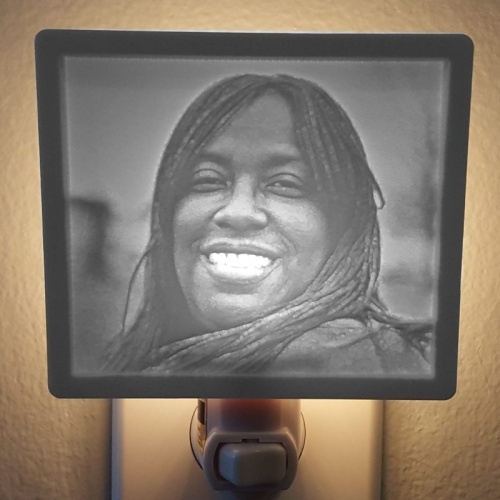 This is an Evergraph nightlight created from someone's special photograph. The examples you see here are some of our favorite pieces to celebrate wedding engagements and lasting love. At first look, it seems like just an unusual carving. Imagine the surprise of your friends and family when you turn the light on for them! We can't imagine a more unique and cherished gift. 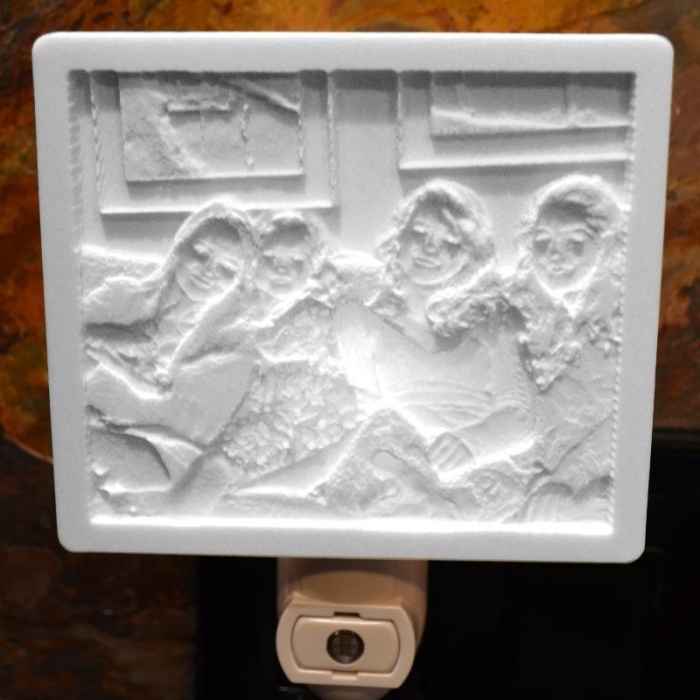 To order your own Evergraph, simply upload a photo below and we'll get it started. If you are ordering a surprise gift, Facebook™ is a great place to find photos of your friends and family. We guarantee you will love sharing your Evergraph. You can get answers to frequently asked questions and read customer reviews below. Photo instructions: There's no need to edit or crop your photo. We'll take care of that for you. 1. 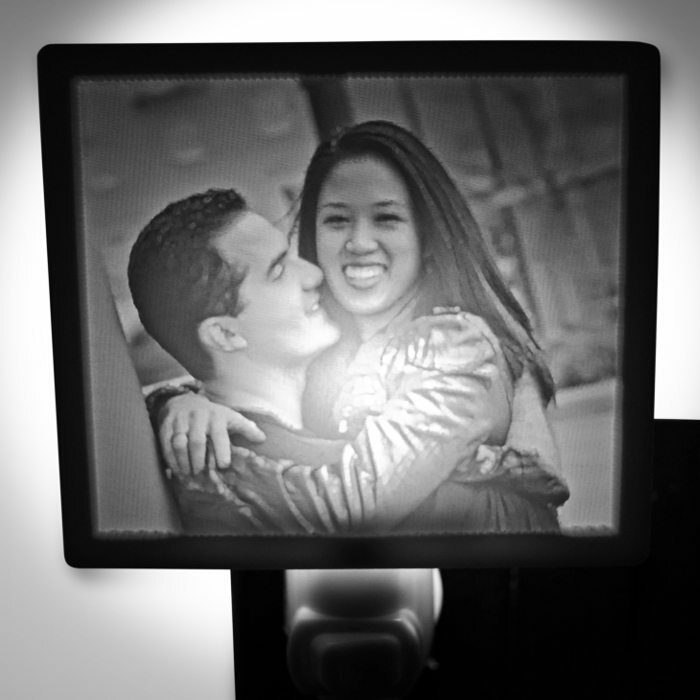 Click “choose file” to upload your photo from your phone or desktop. 2. Click “add to cart” to complete your order. 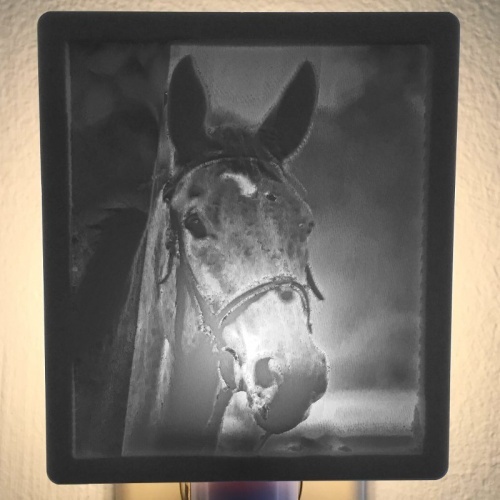 "I ordered a custom nightlight as a memorial gift for my cousin who lost her son this year. 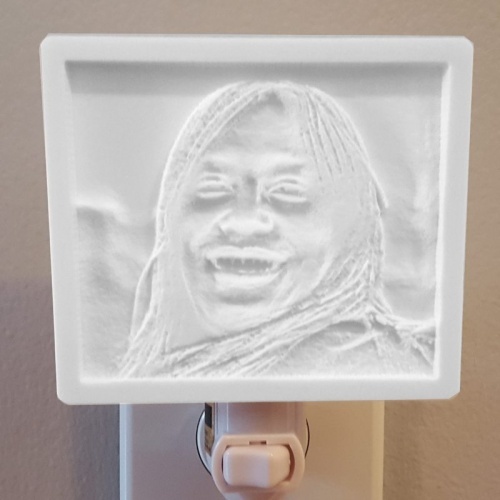 My cousin was brought to tears when she turned on the nightlight and saw her son's smiling face lit up! 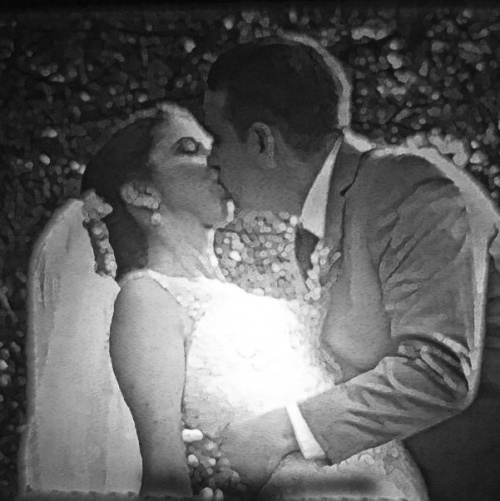 This was a wonderful gift, and made so perfectly to likeness of the picture I sent them. 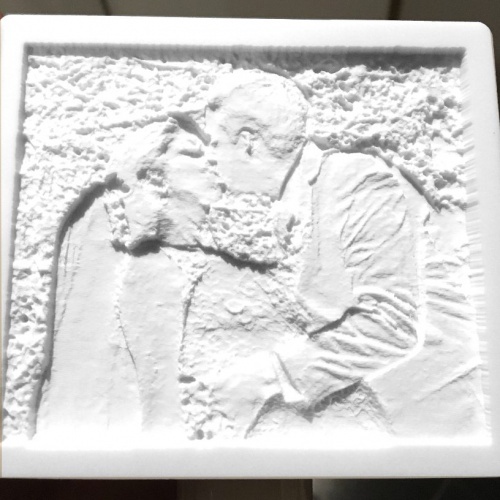 Thank you so much for helping me give an extraordinary memorial gift that will last a lifetime!" 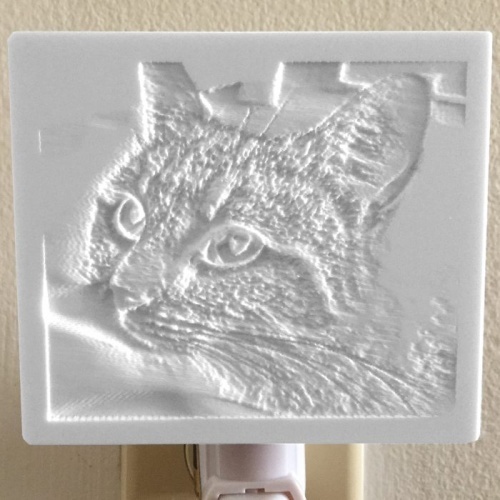 "The nightlight turned out awesome! We love it. Emily was in contact with me right away and sent me a picture before it was shipped. I also received it in less than a week. I highly recommend this shop." "I watched the YouTube video of the ABC News feature of Evergraphs in a spot called Made Local, Stay Local. I ordered one for a wedding gift and received it within a week of placing my order. Evergraphs are amazing! You won't be disappointed." "Cant wait to send you more pictures to make thanks so much." "Very nicely done, very pleasant people to deal with, and extremely timely. Love it!" "I have gifted this twice for dear friends that have lost their fur children. It is a beautiful, thoughtful gift. Customer service is great! Shop HERE! <3"
"What an amazing piece of art. You captured Bailey to the finest detail." "The pictures and Quality is awesome! I'm so happy with my purchase! It also came a lot faster then I expected! Amazing gift idea I will buy from here again!" 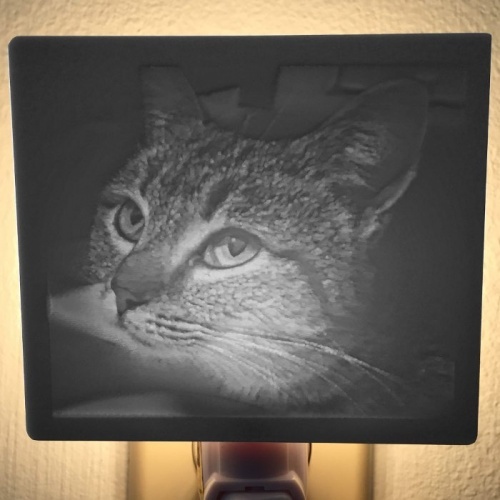 "I can't say enough good things about my Evergraph night lights. Mine are made from photos of my beloved dog, Jack, and are the most wonderful memorial. Every night and morning i see the face that brought me so much joy for so many years. It brings me comfort and smiles. Thank you so much for the beautiful daily reminder of the love of my life!" "I love this. Because getting gentle beam from this relaxes me. And I received this on time." "Flawless transaction and the night lights are beautiful!" "It was better than I could ever have imagined! Thank you so much!!!" 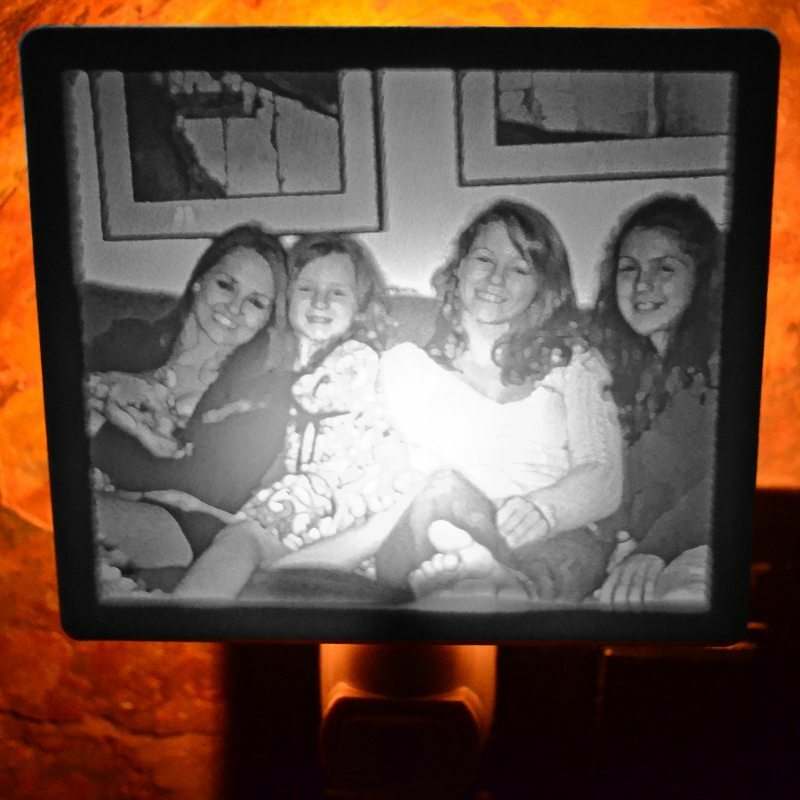 "My nightlight was shipped within 2 days of the order being placed so it arrived in plenty of time. I love it and so do many others. 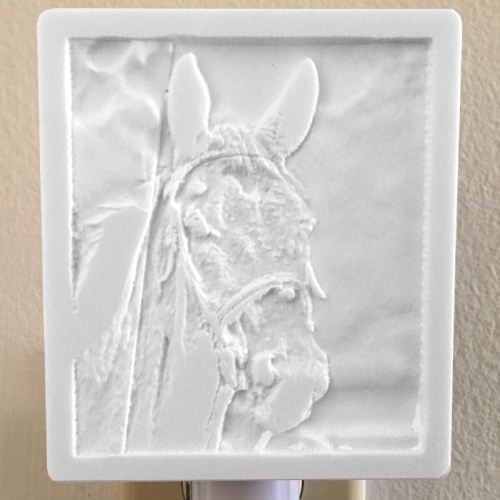 I was asked many times where I got the unique nightlight and I was happy to give them the website link." "I absolutely love their work and highly recommend them! This is my 6th purchase from Evergraph and most definitely not my last! Each and every recipient of the nightlights I have purchased as gifts absolutely loved them and some even cried tears of joy when they saw them light up. Can't say enough about them!! Thank you so much, Emily!!!" "I bought this as a baby shower gift for friends who are about to become first time parents. 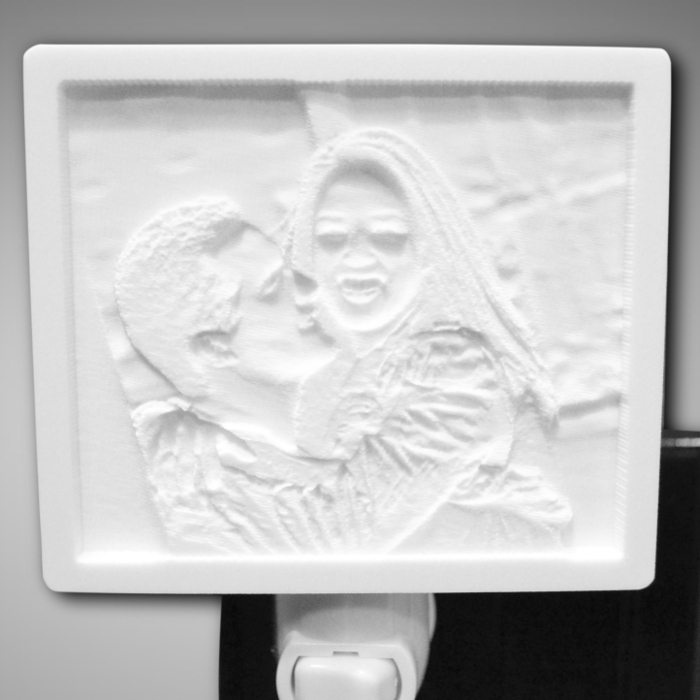 I chose their faces as the nightlight so baby will always have mommy and daddy close. It came out wonderful and brought mom-to-be to tears when she opened it. Thank you so much for your fast delivery. I will definitely shop with you again!" I just wanted to thank you for the beautiful picture you made. My mom just lost her dog of 11 years on Saturday and she misses her terribly. My mom is 86 and when I gave it to her she cried and kissed it. Thank you for making her day. "Nightlight was beautiful. Communication was great."